The 15 largest employers in Kansas have their industrial space and office space in Wichita, Overland Park and Topeka predominantly. These areas are also where you will see a high amount of the state's commercial real estate listings. The state's population is approximately 2,775,997. Kansas is a highly agricultural state with outputs of wheat, sorghum and sunflowers. Industrial space and rural commercial land is also dedicated to cattle, corn, soy and salt. A high portion of the state's economy is from oil production. Kansas also ranks 8th in production of natural gas. 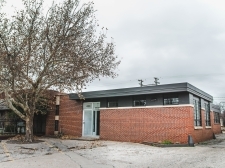 As a result, much of Kansas commercial property is dedicated to these two industries. You will also see industrial space and office space dedicated to aerospace. Major companies based in Kansas include Spirit, Boeing, Cessna, Learjet and Hawker Beechcraft. If you are looking for Kansas commercial real estate listings, it is interesting to note that 627 incorporated cities are in Kansas. By population, the largest city is Wichita with approximately 382,368 residents. Overland Park had 173,372 residents and Kansas City has 145,786 residents. 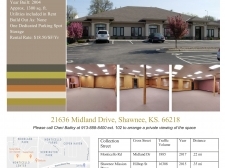 Other cities with a sizeable amount of commercial realty include Topeka and Olathe.